Advanced accuracy for precise and consistent readings. Your numbers are not just numbers. They’re information about your body. 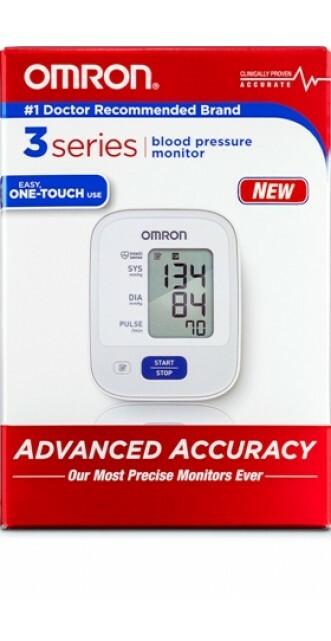 Omron 3 Series Monitor provides accurate readings so you know exactly what’s going on with your heart and your health. Hypertension, or high blood pressure, impacts roughly 30% of adults in the United States. An accurate and consistent picture of your heart’s health is an important step to controlling and regulating your blood pressure. With Omron 3 Series Blood Pressure Monitor you can rest assured that you will get a reliable reading. When you trust your heart health to Cardiotabs and Omron, you'll feel empowered by accuracy. Works great and the cuff fits well. It's easy to use, and the numbers are large and easily visible. Very happy with this device.